When trying to setup an SMTP email service such as Outlook or Thunderbird, it’s necessary to make sure that your network allows the connection to go through. 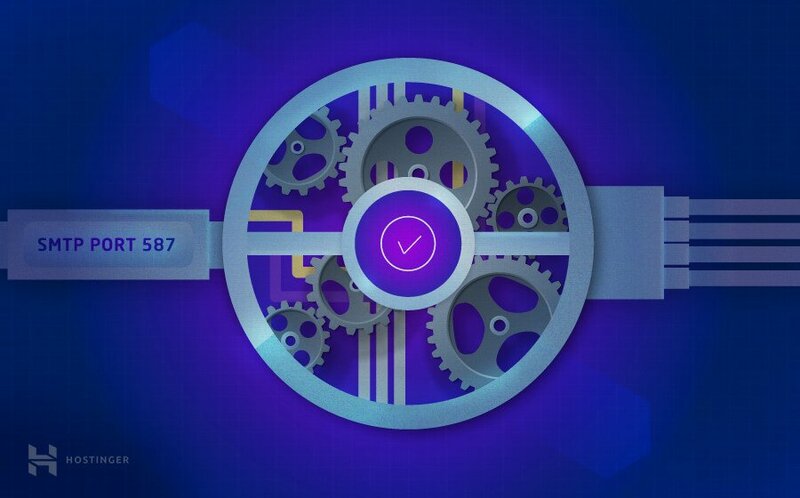 Most of the general SMTP connections use port 587, so in this tutorial we will cover the process of how you could check if port 587 is open on your network. Find Windows logo key on your keyboard (it is located between left CTRL and ALT keys). Now press it together with R key. New window Run will show up. 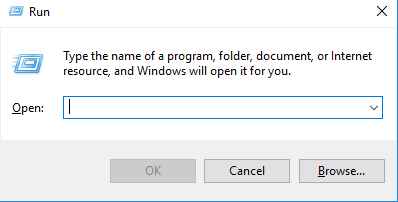 In this new window type cmd and click OK just the way it is shown in the picture above. Now you should see a black command shell window where we will perform the remaining actions of this task. 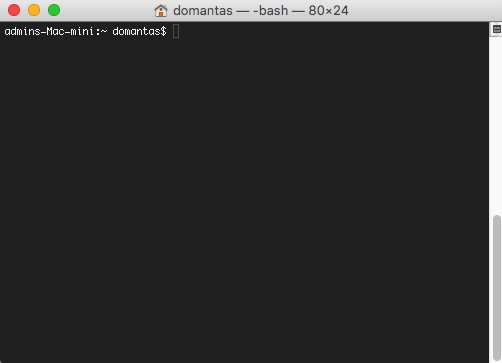 If black terminal window shows up, proceed to Step 2. Firstly, you will need to open MacOS Launchpad. This can be done by simply clicking on F4 key. In Launchpad’s search field enter terminal and press ENTER. The needed terminal window will show up. 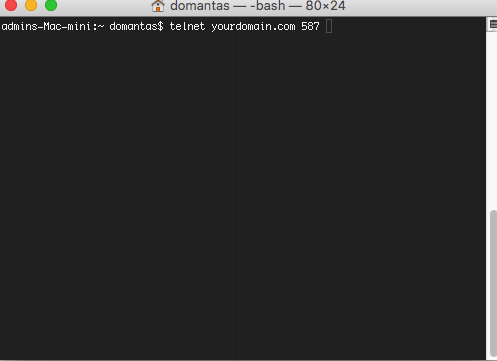 telnet yourdomain.tld 587 where yourdomain.tld is your domain name. If a success message, similar to the one listed below, appears – it means that SMTP port 587 is open. However, if you see Unable to connect or/and Connection refused messages, then the port is blocked. In this case, it is recommended to try turning off firewall (if you have any) or contacting your ISP. In this tutorial we have learned how we could use telnet to check if default SMTP port 587 is open. 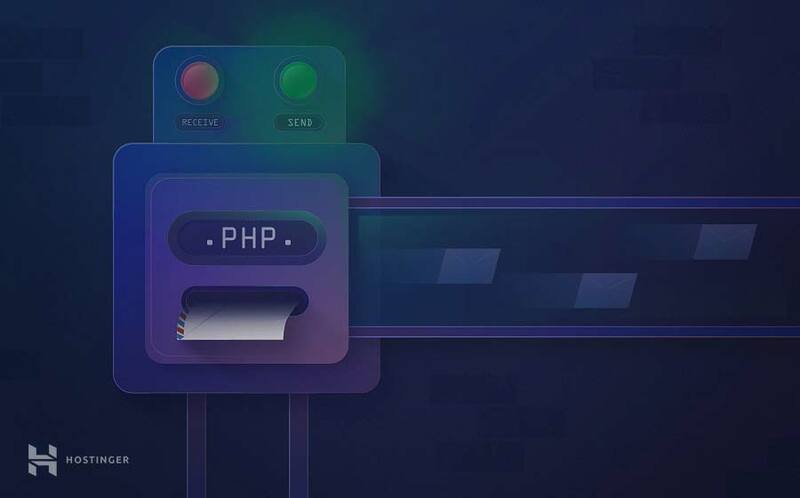 This knowledge will be useful when trying to troubleshoot any potential SMTP connectivity issues while trying to setup SMTP client to use on your network.